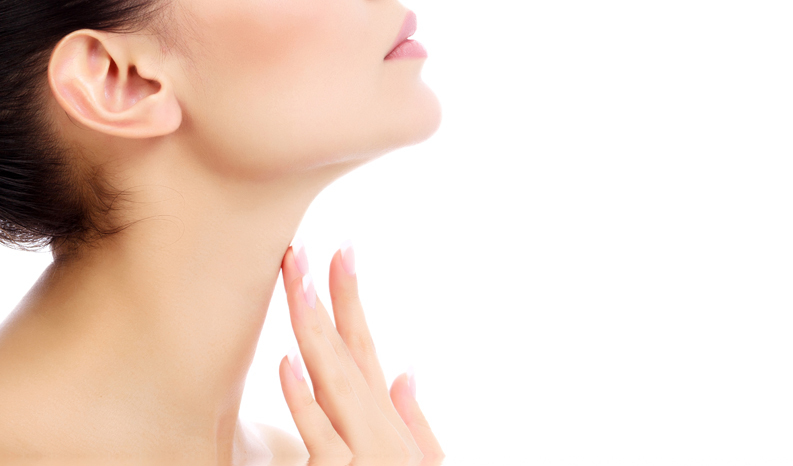 A double chin forms when a subcutaneous sheet of fat around your neck sags and causes a lump of fats under your chin. Many families suffer from a hereditary predisposition to them. Some families naturally retain too much water in the chin area, and others naturally store excess fat. Age is another cause. As you age, you lose muscle, so the muscles in your chin weaken, and your skin grows looser. These factors may combine to leave you with a double chin, but the major cause of double chins is excess body fat. Some people carry fat on the chin more easily than anywhere else, and obesity and double chins go hand in hand.